Bonjour… bienvenue..!! For our September club meeting, we will be entertained by Frenchman Jean-Marie Liere and equipment from his two ventures, Microphase Audio Design and French Vintage HiFi. 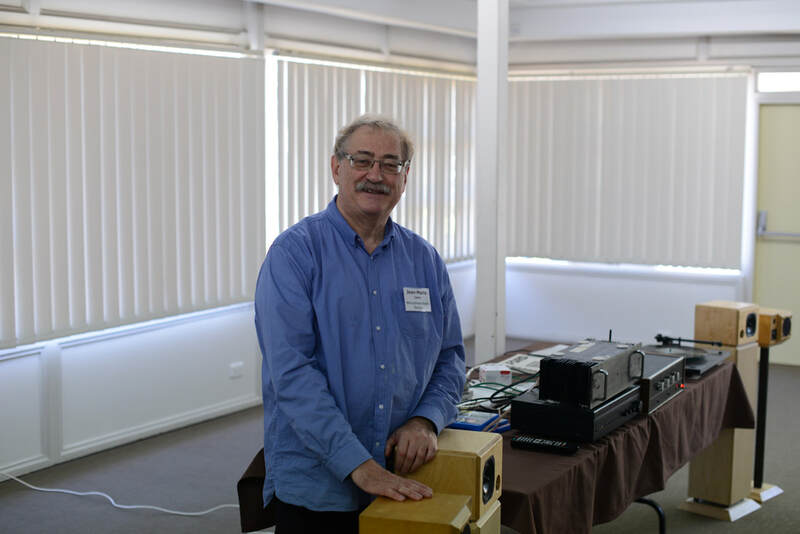 Jean-Marie and I spoke for a while recently – he’s a very engaging fellow with over 40 years of experience in electronics, speaker design, lighting, lighting controls and home automation. His lifelong passion for design, architecture, music and its reproduction is well documented. He is also a keen photographer and cook. So there is never a dull moment chatting with Jean-Marie. Much of the detail in the following has been taken directly from the Microphase Audio Design (M.A.D. / MAD) website. The speakers will be vintage Microphase SATs as well as their new MAD SATs MK2 and stereo subs SWS MK2. The vintage Microphase SATs are minuscule monitors (SAT) that were first introduced in the mid-80s. They had quite a following in France, Belgium, Germany and Scandinavia. They were designed to be not only very high quality speakers, but also to capture the interest of interior designers and female clients. They were objects of beauty as well as a “melomane” dream (an enthusiast for, or lover of, music) come true in a tiny package (200x200x150mm). 30 years later, Microphase Audio Design introduced a modernised version of these monitors, aptly named MAD SAT MK2, with vastly improved performance, but still retaining the spirit and the look of the original concept. This is a limited edition of a beautiful object reproducing music in all its splendour. 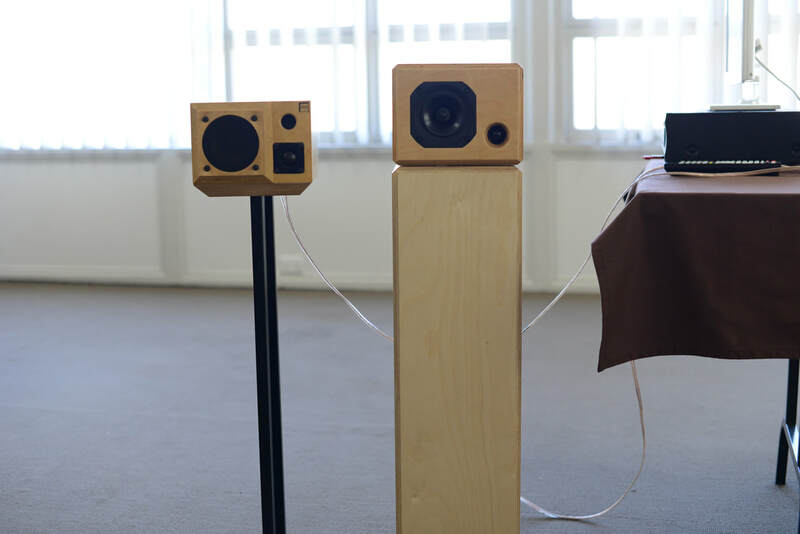 These speakers are designed for the melomane and the “aesthetician” [the branch of philosophy which deals with questions of beauty and artistic taste] who don't want their hi-fi system to dominate their living room. They also appeal to the pro market as perfect recording studio monitors, as they are very revealing of all the details and nuances of the music. The new passive SWS MK2 subwoofers also act as stands for the SAT MK2 and SAT MK2 Signature. They come as standard SWS MK2 or as SWS MK2 Signature with the upgraded crossover components found in the SAT MK2 Signature. The SATs are not filtered at the lower frequencies to retain their transparency. The crossover is a 12dB/octave at 150 Hz feeding a proprietary 21cm driver from Audax France. The plinth ensures stability to the whole unit and creates a stable and consistent surface to the bottom mounted driver. The proximity of the plinth surface and the driver have other benefits and contributes to the linearity of the response from 40 Hz to 150 HZ +/- 3dB. Jean-Marie will bring his own amplification (unspecified) with possibly a vintage surprise, if it arrives on time. He will also bring his Arcam Bluetooth receiver so we can use Tidal/Idagio, etc. for streaming. Our source for our BYO session will be the ubiquitous Oppo BDP-105D multi-format player. ​The sunny warm weather was apparently just too enticing on the day… likely why attendance was a bit down, but the interest and enthusiasm was high. Jean-Marie first presented a vintage pair of original SAT speakers on separate stands without subs – the original Mk1 wasn’t available with subs. In November 2016 Microphase Audio Design (MAD) introduced the SAT Mk2 Signature speakers and the accompanying Signature sub woofers - they were launched at the Salon de la Haute Fidelite in Paris. The SAT Mk2 Signatures and subs are identical in width so they look “as a piece” once setup. The SAT Mk2 speakers and subs we had on the day were the Signature version. The amplification was vintage NAD and an integrated amp designed by someone in HP! Jean-Marie explained all the gear and answered the many questions. He played us quite a few tracks to highlight how the system sounded. Our room is large, but the smaller speakers with the sub managed to fill the room with sound so long as it wasn’t too demanding of bass extension and volume. People asked about the pricing. 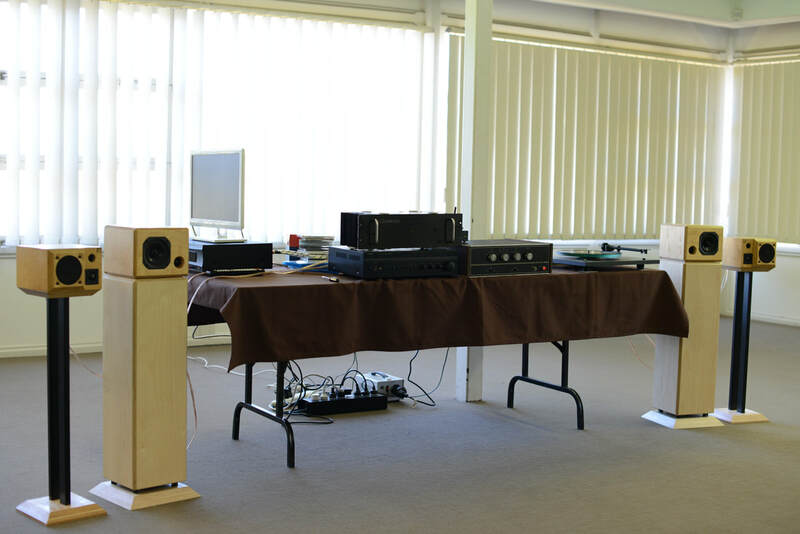 To clarify, the SAT Mk2 Signatures and the SWS Mk2 Signature subwoofers came in at approximately $4500 USD. Jean-Marie revised the shipping costs for local shipping which helped lower the costs a bit.